Last summer I was playing around with a few lipstick recipes, one of which resulted in this one. It's a great color and works really well in the moisturizing department. The lipstick has been living in my purse ever since, and is almost used up now. What you see above is the amount that wouldn't fit into the lipstick container. Instead of tossing it, I pulled out a small pot and poured the remainder into it. (I can't stand throwing out product). My ingenious plan was to play around with it as a tinted balm that would be "expertly applied with a lip brush" every morning. This is what I told myself. Deep down I knew full well I wouldn't be carrying through on that one very long. It was less than a week before I started dipping into the pot with my finger and applying form there. Because this is a lightly tinted color, application really doesn't require a lot of precision. One morning, I decided to give it a whirl as a blush. Guess what - it looked great! This tinted lip balm adds just a hint of color and because it's full of moisturizing goodness, it feels great as well. I was surprised to discover how good a matching lip color and blush looks. Even if you don't make your own make-up and cosmetics, it might be worth a try with a commercial product. 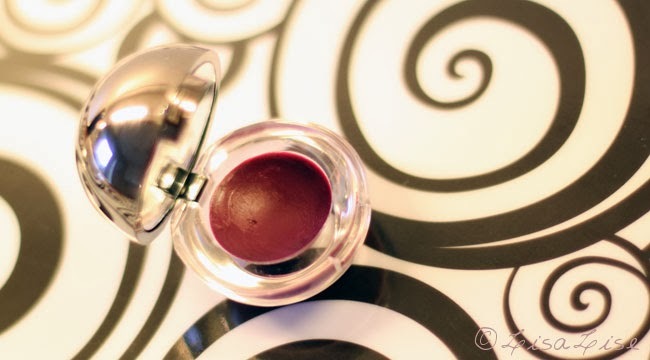 Have a tinted lip balm color that you love? Let it get a little cheeky!